Using RFID pockets and adjustable strap Travel Bag Buddy travel organizer securely holds some important essentials and secure your second bag. Like the design? Let’s keep checking. 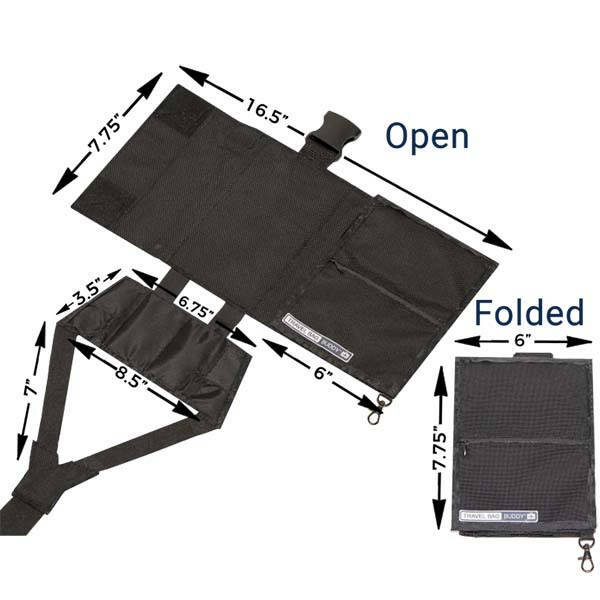 The Travel Bag Buddy is a versatile and practical RFID travel organizer that measures 6 x 7.75 inches when folded. As we can see from the images, the organizer delivers a low-profile, solid black exterior, and using integrated Velcro pads, you can effortlessly keep it around the telescopic handle of your luggage. Meanwhile, the travel organizer is made of the highest quality materials using extra strong seams, edges and finishes to survive a lifetime of travel. Using two document pockets, one phone/ charger pocket and card holders, the travel organizer holds your passport, wallet, smartphone, cards and more. A zippered front pocket keeps some more important items sealed in place, while RFID shoulder lining guards your privacy and data from hackers, and a hanging clasp is designed to hold your keys. Furthermore, the RFID travel organizer also features an integrated adjustable strap that can be used to quickly secure your second bag, preventing it from falling off. 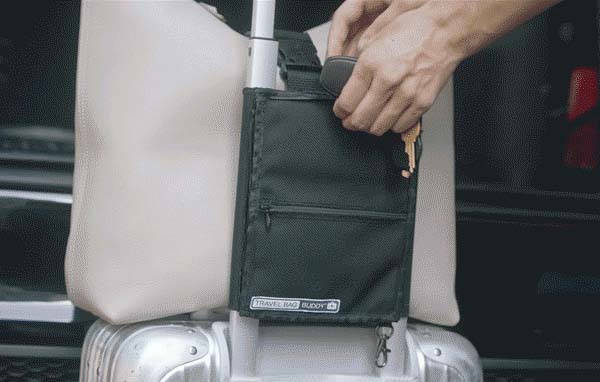 The Travel Bag Buddy RFID travel organizer is priced at $28 USD. It will be shipped this month. If you’re interested, jump to Indiegogo for its more details.